Home » What is a Mintmark? Mintmarks are small indentations that have been stamped onto a coin to show from which mint it has been produced. They were originally introduced so that if there was a problem with a coin – i.e it was underweight or contained less metal than specified, then the owner could tell exactly which mint was responsible. In other words, a mintmark is a guarantee or mark of authenticity to prove that a coin has been produced exactly as has been specified. The first mintmarks were produced by the ancient Greeks and were known as Magistrate marks. At the time Magistrates were among the top-ranking government officers in Ancient Greece and were responsible for the production of coins. The magistrate mark symbolised the name of the magistrate who had overseen the production of that particular coin. The ancient Romans also used marks to determine from where a coin was produced, and mint marks were a regular feature of Roman coinage. Often these marks could be found at the bottom of the reverse side of a coin and contained three parts. The name and location of the mint and the workshop contained within the mint. Certain collectors who display an interest in numismatic coins take particular interest in mintmarks. Sometimes it can make a huge difference in the value of a coin and knowing what makes certain mintmarks more collectable and where to locate them is part of what makes a coin collecting such an exciting pastime. A rare mintmark mark can add thousands to the value of a coin. in Britain since its original inception as the London Mint back in 886 AD. After operating from London until the 1960’s, it is now located in Llantrisant in South Wales. Several hundred years ago there were coins being minted in towns all over the UK. These Medieval mints tended to use pictures or small symbols to represent which particular-mint they came from. What’s the story with modern coins? One defining factor of the Royal Mint is that it doesn’t often use a mintmark for British coins. For example, gold Sovereigns that are minted in the UK feature no mintmark at all whereas sovereigns that have been minted in branch mints overseas all feature their own unique lettering to represent where they have been produced. For example, sovereigns minted in Sydney feature the letter S, Melbourne M, Perth P, Ottawa C and so forth. Physical Gold is one of the leading dealers of gold and silver in the UK. We offer investors the chance to invest in a wide range of gold and silver coins including our huge selection of gold Sovereigns. 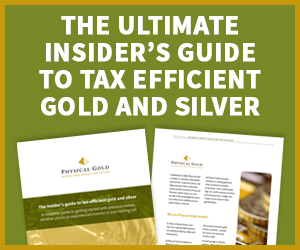 For more information or any additional advice on how to invest in gold and silver, please give us a call on 020 7060 9992. This entry was posted in Blog and tagged mintmark.